I love brow products. Though I am constantly testing new releases like the Hourglass Arch pencil, I am a creature of habit. I prefer to stick to what I know works best with my features. That is why I have been wearing the Cle de Peau brow pencil in natural black so often. Now that I am growing out my natural hair color, the 204 shade is the perfect fit.. not too warm, not too cool taupe-tinged gray. It does help that my brows have also grown out over the last six months, since the shading process is not nearly as tedious as it once was. Moral of this story: let your eyebrows grow out! In the past year, I experimented with all sorts of brow trends. I went really thick, then really dark, then really thin. I tried to embrace the increasingly popular cream brow trend. Though it looked better some days than others, it just doesn't work well for fine eyebrows like mine. Pencil is the easiest to master, but it also looks the most natural. Some also love powder for precision, but trying to find the perfect grey eyeshadow is another headache I would rather not chronicle. 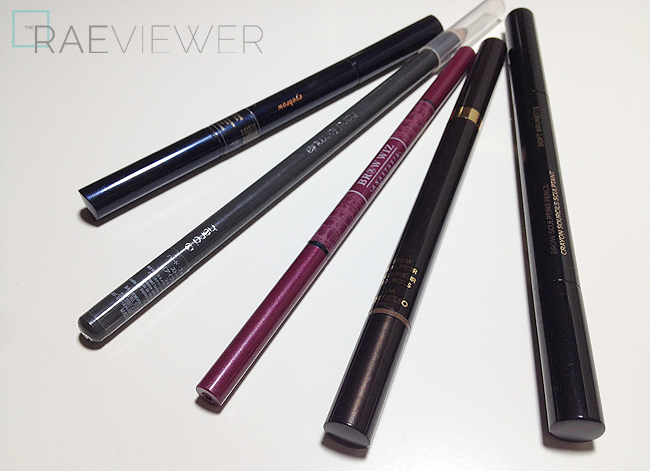 I managed to find a couple that are wearable, but none are as ideal in color as Cle de Peau or Shu Uemura's pencils. Brows are all preference, though, so wear them however and with whatever you think suits your face best. These five pencils just happen to work well for me.. all tried and true! *NOTE: The swatches for the majority of these products are within the reviews I have already written, so please reference the linked posts for more information. 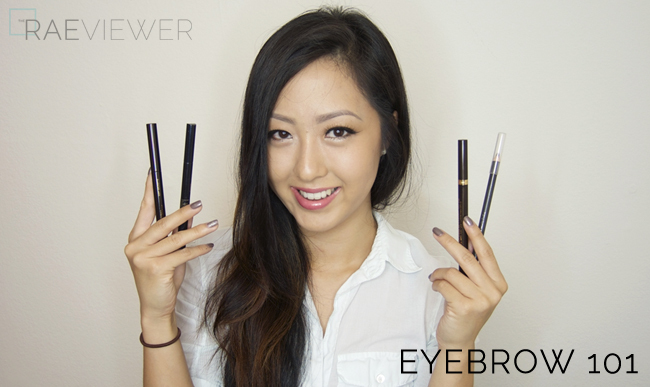 **NOTE: I no longer use the Shiseido brow pencil. It is still worth trying if the CdP is out of your budget and if you do not want to order the SU online. I just happen to find the CdP is much more versatile and easier to use on my fine brow hairs. I have light/thin eyebrows, and I've been searching for something to subtly fill them in. I will eventually splurge on CdP, or Shu Uemera, but I'm testing out my skills, and patience, with Anastasia in Ebony, and NYX brow powder in black/grey. If it weren't for you guest post on MBB, I would still be rocking my barely there brows :) And I would have never tried the grey powder in my NYX palette. I used the black, but it was a tad dark, and I tried the grey this morning. WOW! Very subtle, and matches well.